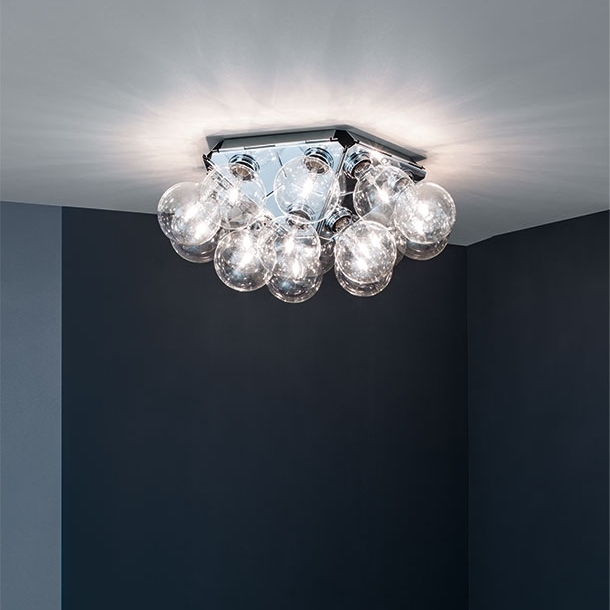 Flos offers the Taraxacum 88 C / W at an extraordinary lamp for both the wall and to the ceiling. 15 Globe bulbs on 5 triangular elements made of polished cast aluminum give her light, both direct as well as reflected in the room. This is the Taraxacum 88 C / W in addition to its function as a lamp, which they very well satisfied with the emitted light quantity, a light object, which attracts all the attention.